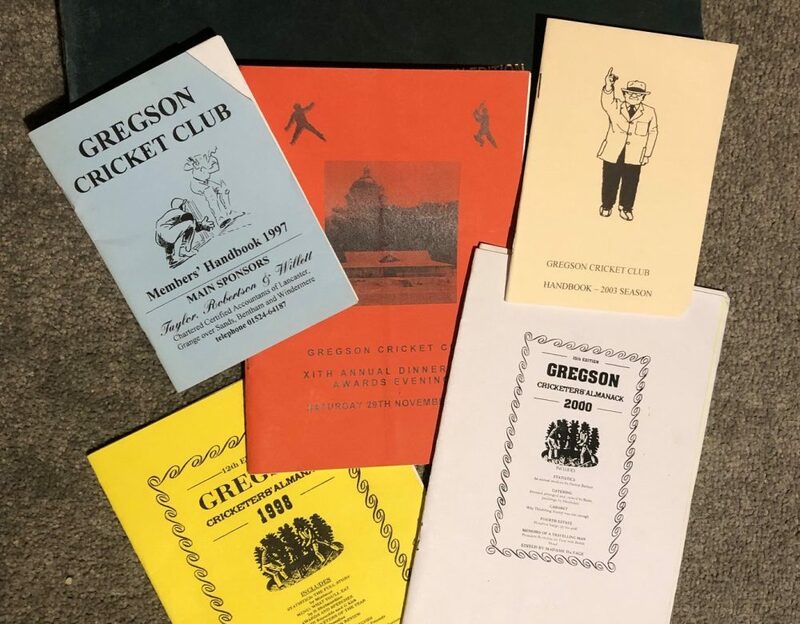 We’re lucky enough to still have a lot of Gregson history lying around in former players’ attics and cellars. At the moment we have scorebooks for the years shown below and as time goes on, we hope to put much of this on the website. It’s a big job though and real life has a habit of interfering with even the best intentioned plans.